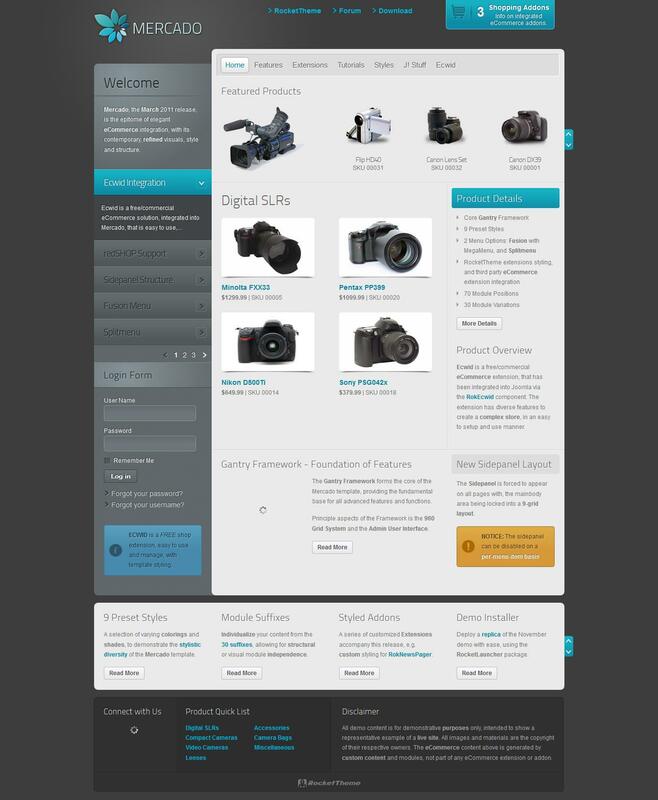 RT Mercado - Update template online store from a professional design studio Rockettheme. This template has been updated mapping studio RokNavMenu menu and adds support for mobile devices running on the operating system Google Android. Layout design is presented in dark colors, includes special effects animation and stylish texture. Modular design is represented in 50 positions that allow for optimal all the information about the product in a flexible way. Corporate framework provides fast download speeds overall optimization, and complete compatibility with all browsers: Opera Mini, Mozilla FireFox, Chrome and others.